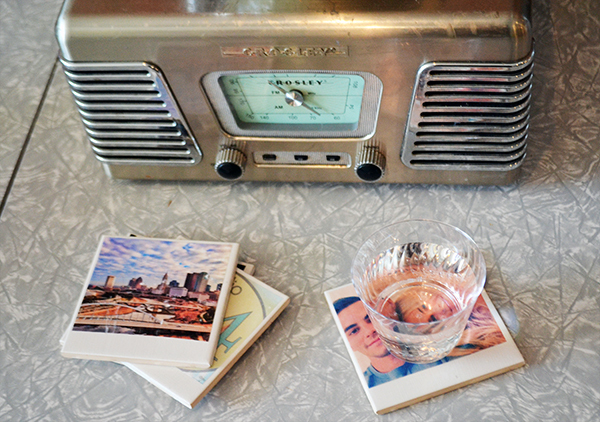 We’ll guide you through all the steps to personalize your own ceramic drink coasters! Each guest will be required to bring 4 printed out photos (using any at-home printer and general copy paper) which we will be transferring to the coasters. We will let you know the dimensions that these photos must be in order to fit the coasters and give us that awesome polaroid effect! 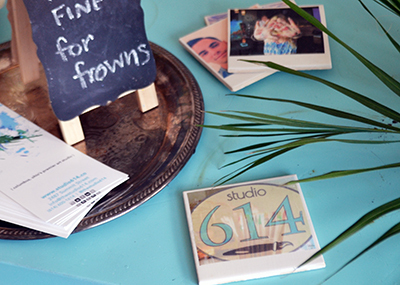 We supply the coasters (4 per guest) and all of the other supplies needed to create! 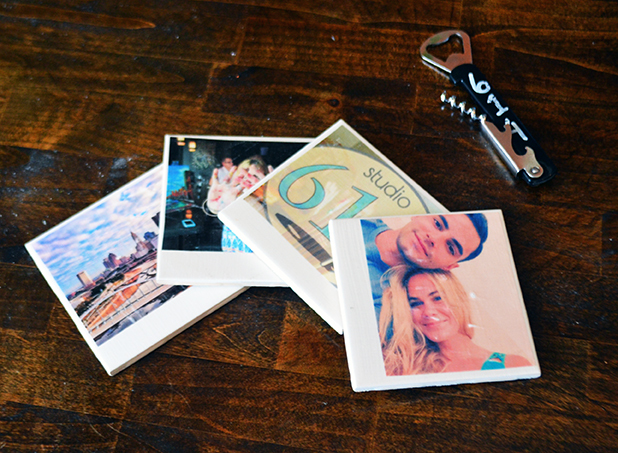 You’ll be walked through how to turn an ordinary ceramic tile into a personalized drink coaster that you’ll love with your favorite photos. Available for private parties, corporate groups, fundraisers, and Columbus bar venues. Each guest will bring a printed copy of their favorite photo and be walked through how to make their very own coaster with the creative guidance of one of our amazing artists! Minimum 10 people to reserve a private group. 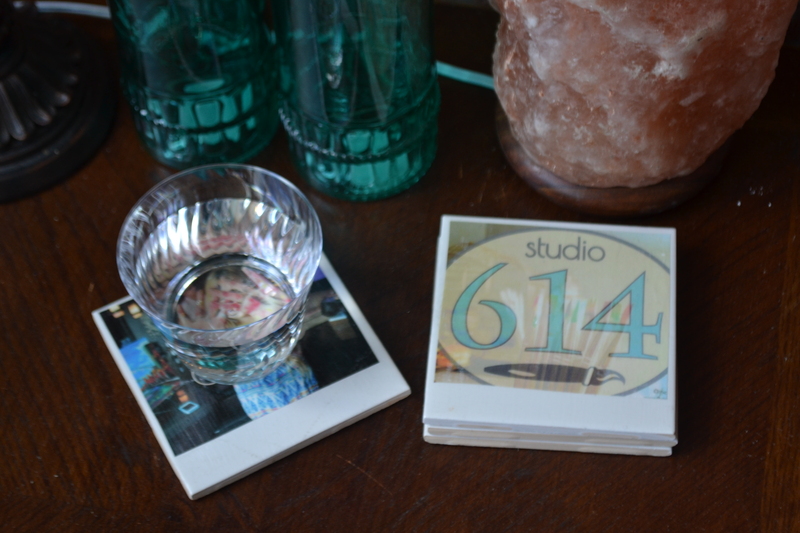 Studio 614 Coaster Parties let you make a custom piece that you’ll cherish and love to show off. 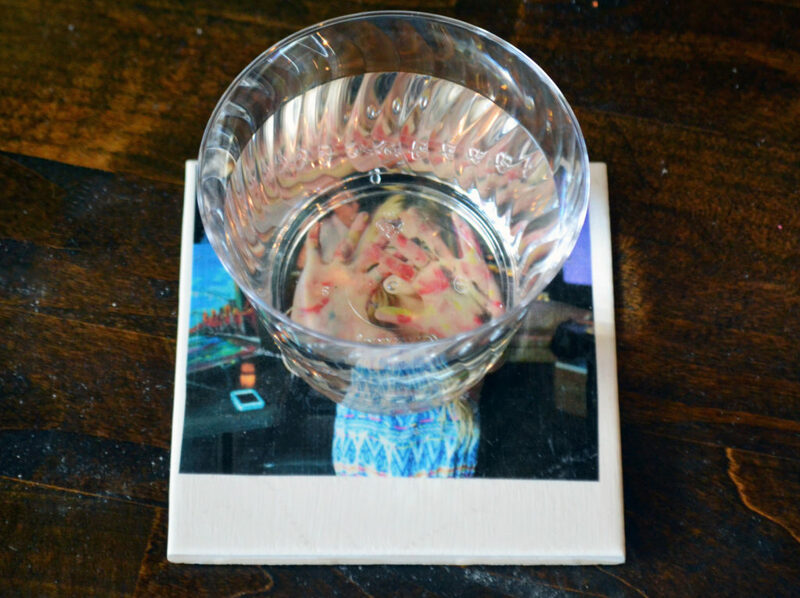 Guests will bring a printed copy of their favorite image and be taught how to turn it into a personalized drink coaster! 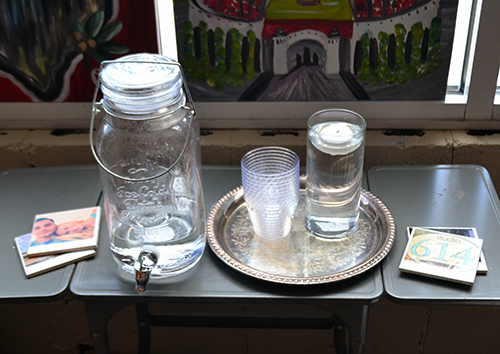 Upon arrival, guests will sit down at work stations already laid out with the other supplies they’ll need. If the party is at a Columbus restaurant or bar, servers will attend the class for the entire duration serving you up whatever snacks or drinks you’d like!